Posted on June 5, 2017 at 10:51 am. 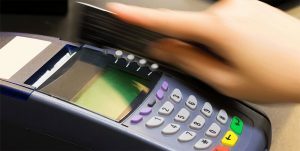 An investigation conducted by the ACT government has revealed that clubs with gaming facilities are installing eftpos machines in order to get around the $250 a day limit imposed on ATM machines. The ATM withdrawal limit was established in 2013 to help problem gamblers, and an investigation was launched in April this year after gambling addict Laurie Brown said she was able to withdrawal thousands of dollars every night during the peak of her pokies addiction at the Raiders club in Belconnen. The ATM machines in eight of the clubs were between one and five meters away from the pokie machines. Seven of the ATM machines had signs on them advising users how they could withdraw more cash using eftpos. Two clubs allowed ATM withdrawals up to $500 because there were two machines with $250 limits on each. Some clubs had eftpos withdrawals limited to $1,000 a day, while others imposed no limits on eftpos withdrawals. Mr Ramsay said, “It is evident that the voluntary code of practice which had been developed to ensure eftpos transactions were not undermining ATM restrictions has not worked. Greens MP Shane Rattenbury is calling for laws to change as it is now clear clubs aren’t adhering to the policies. He said the Greens reject the idea that playing the pokies comes down to personal responsibility and that the machines are designed to be addictive. “Clubs are supposed to be there for their communities, not to fleece them,” he said. Mr Rattenbury has announced he will be filing a motion with the ACT Legislative Assembly to restrict all eftpos withdrawals in gaming venues to $250.